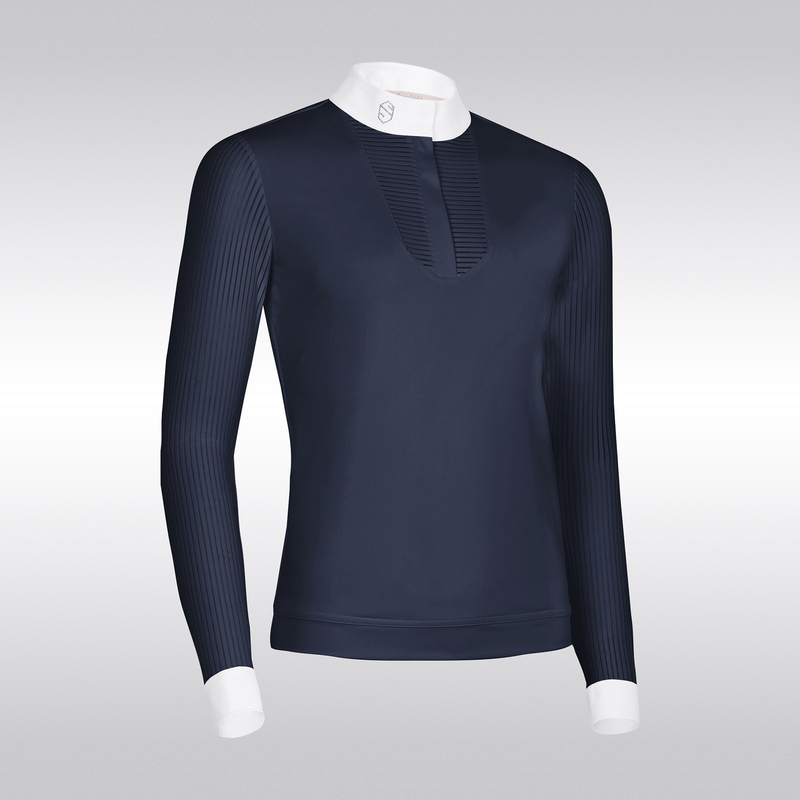 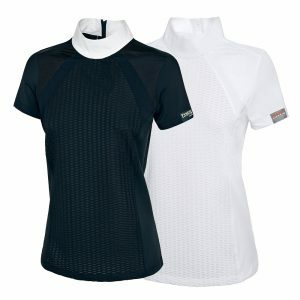 The Samshield Faustine long sleeved competition shirt is designed with a soft, high stretch, breathable fabric to ensure durability and comfort. 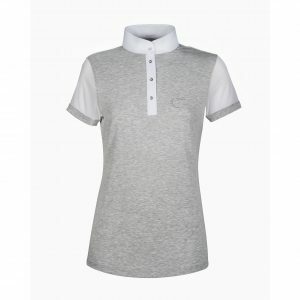 The tailored fit of this shirt provides superb comfort, while UV protection ensures this shirt is suitable for all seasons. 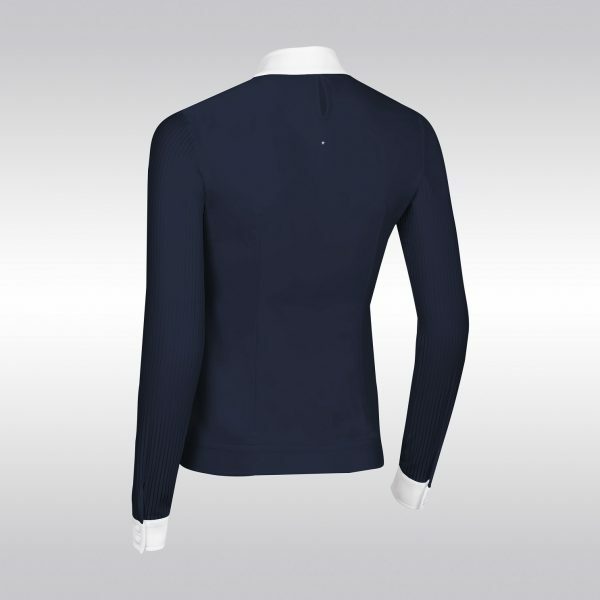 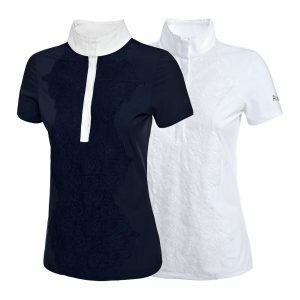 Featuring transparent material on the neckline and sleeves, as well as snap close collar and cuffs for a feminine look. 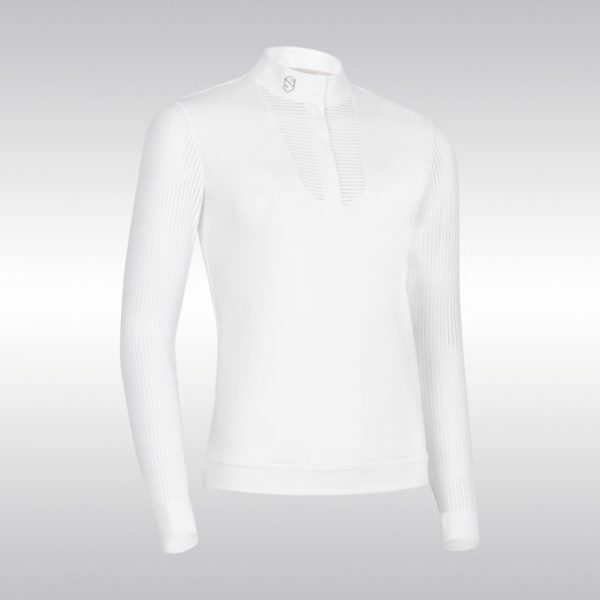 Finished with the Samshield blazon in Swarovski crystals on the collar.